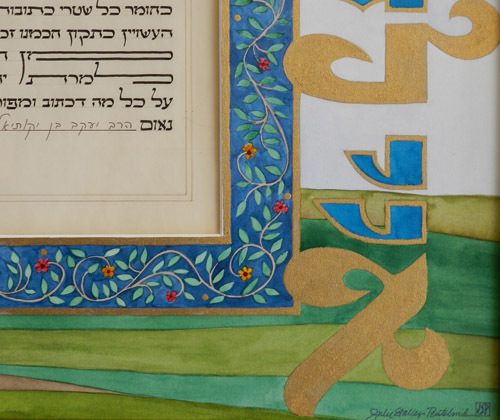 The text was created by another calligrapher at the time of this couple’s wedding forty years earlier. 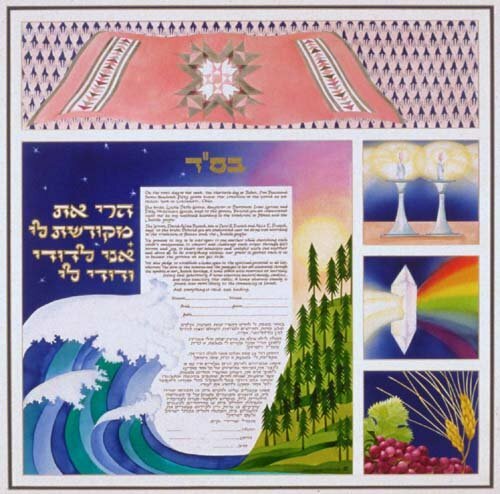 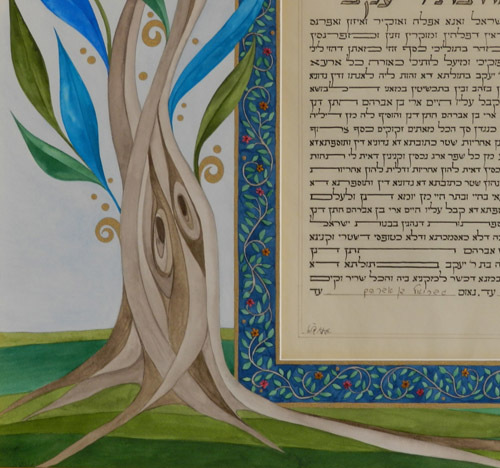 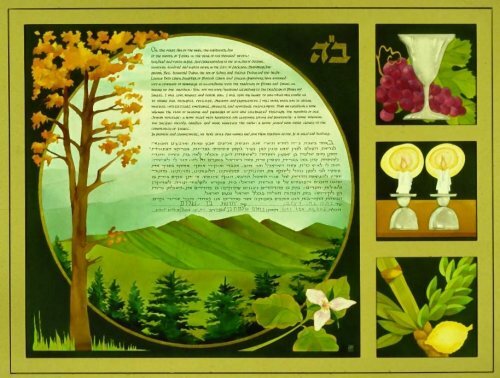 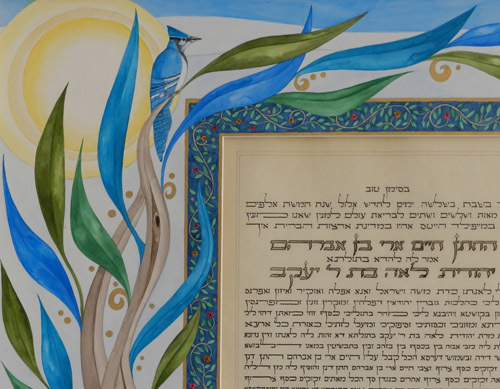 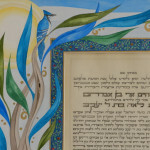 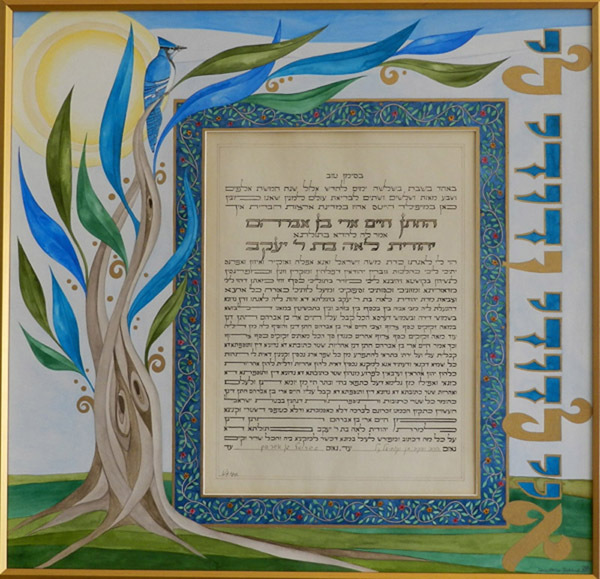 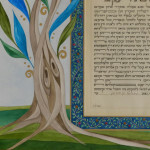 I created the art for this Ketubah as a fully illuminated border surrounding their original text. 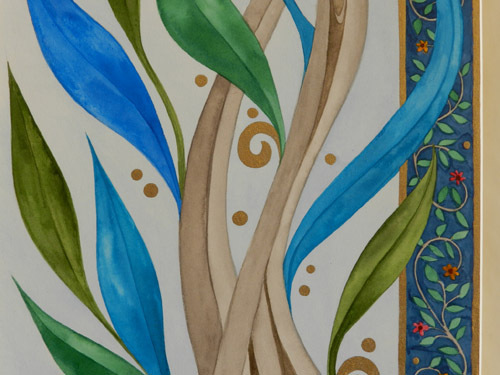 A detailed dark floral border surrounds the actual text. 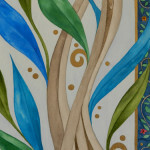 On the left side, a “tree of life” flows upward with a large blue jay at the top. 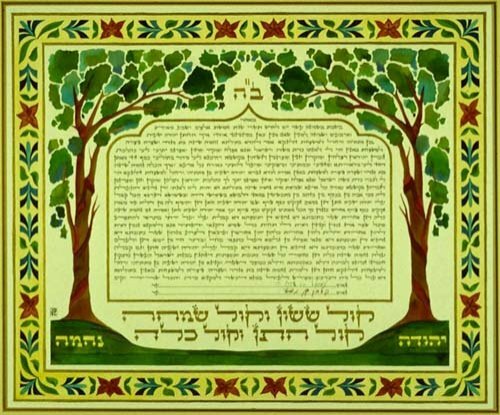 These two images are representative of the couple’s two children. 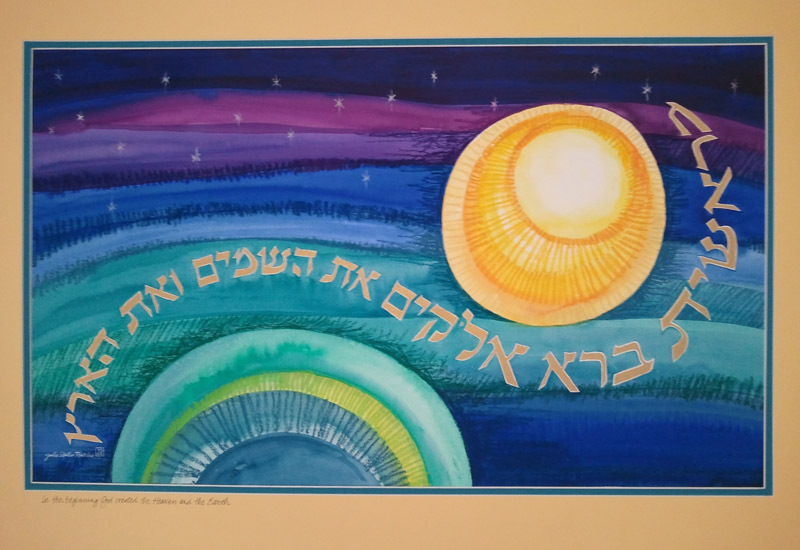 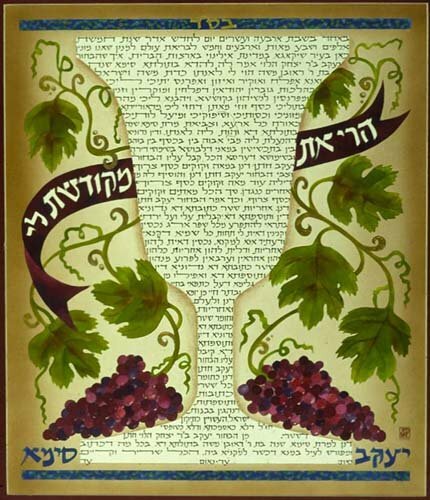 On the right is the Hebrew from Song of Songs, “Ani L’Dodi v’Dodi Li” – I am my beloved’s and my beloved is mine. 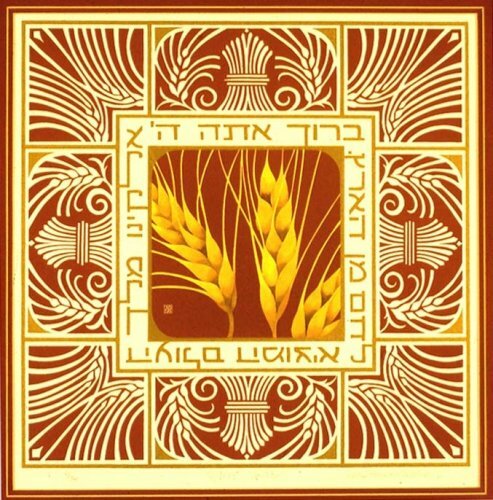 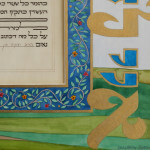 In this quote, the initial letters, Alef, Lamed, Vav, Lamed, are painted in metallic gold ink. 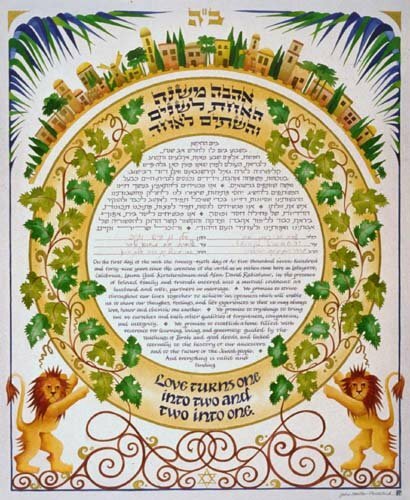 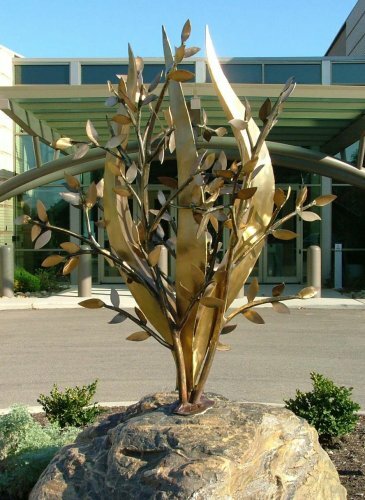 They highlight ELUL, the Hebrew calendar month of the wedding forty years earlier. 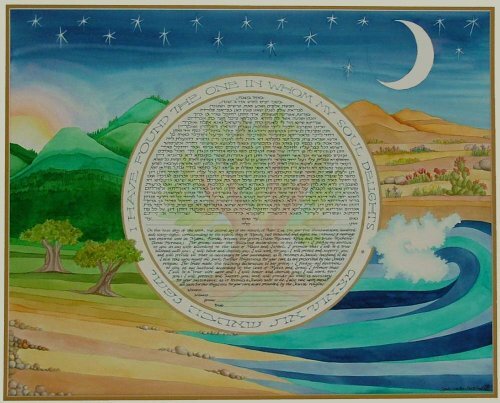 It is painted using liquid India Ink on artists’ rag illustration board with a window cut for their original text.